Super-Couponing - Changing the way you shop... forever! Learn to cut your grocery bill in half with coupons in as little as 30 minutes per week! Isn't it time to start saving? Super-Couponing® will change the way you shop... forever! Learn the coupon secrets of the pros, how to match coupons to sales, and the "clipless method" of only cutting the coupons you need -- without a coupon binder, and without wasting time. Shop smarter with Super-Couponing®! Since 2008, tens of thousands of people have learned how to slash their grocery bills with Super-Couponing®. Super-Couponing® has been featured on Nightline, Inside Edition, ABC World News and Fox News. Join the revolution and start saving today! - The "clipless" method of couponing: NO coupon binders! NO cutting hundreds of coupons each week! Read more about what you'll learn! 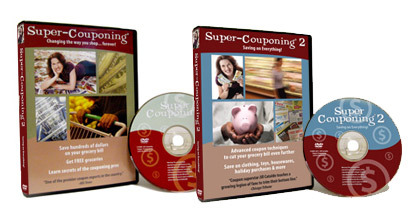 Watch FREE video clips of Super-Couponing® DVD workshops! See firsthand the kinds of tips, techniques, and strategies you'll enjoy with Super-Couponing and Super-Couponing 2: Saving on Everything! It's like having your own, personal coupon class right in your living room! View FREE preview videos of Super-Couponing and Super-Couponing 2: Saving on Everything! Attend a Super-Couponing® Live! workshop and learn to save directly from Jill! Super-Couponing® is the fastest, easiest way to learn to use coupons to their fullest potential. You'll gain all of the knowledge needed to go from a coupon novice to a coupon pro! Is a Super-Couponing Live! workshop coming to your town? Find out at the link! "Cataldo is the world's premier coupon expert." "In these brutal times, her instructional DVDs are selling like discounted hotcakes." "When you leave Super-Couponing, you are no longer a casual couponer. Jill taught me a whole new way to use coupons to my advantage. I used to think saving 35 cents to $1.00 on an item was a big deal, until I went to Super-Couponing. Before Super-Couponing, I used to spend about $250 a week after coupons. Now I spend around $45. No kidding, no joke." - Pam R.
"Our family just started Super-Couponing this fall. We have completely changed our shopping and eating experience. We went from spending $250 a week to more like $100/week (even with 3 in diapers!) We now eat a much greater variety of foods." - Jeanne E.
In one hour, people just like you have transformed the way they shop! Read more of their stories! Maximize your savings with Super-Couponing 1 & 2! There's no better way to learn how to coupon than with Super-Couponing®, the original DVD coupon class! Taking you step-by-step from a beginner's perspective, Super-Couponing will teach you everything you need to know to shop smarter and start saving! Super-Couponing 2: Saving on Everything builds on everything taught in the first class, teaching advanced coupon savings techniques, as well as how to save on non-grocery items like clothing, toys and more! Got questions? Visit our Frequently Asked Questions page! all of the money you save? Trusted partners for obtaining more coupons and learning to save! The top four sites for free printable coupons are Coupons.com, CouponNetwork.com, SmartSource.com, and RedPlum.com. All of these sites are FREE to use, and none of them require you to register. You won't receive spam when you print from sites that do not require your email address. 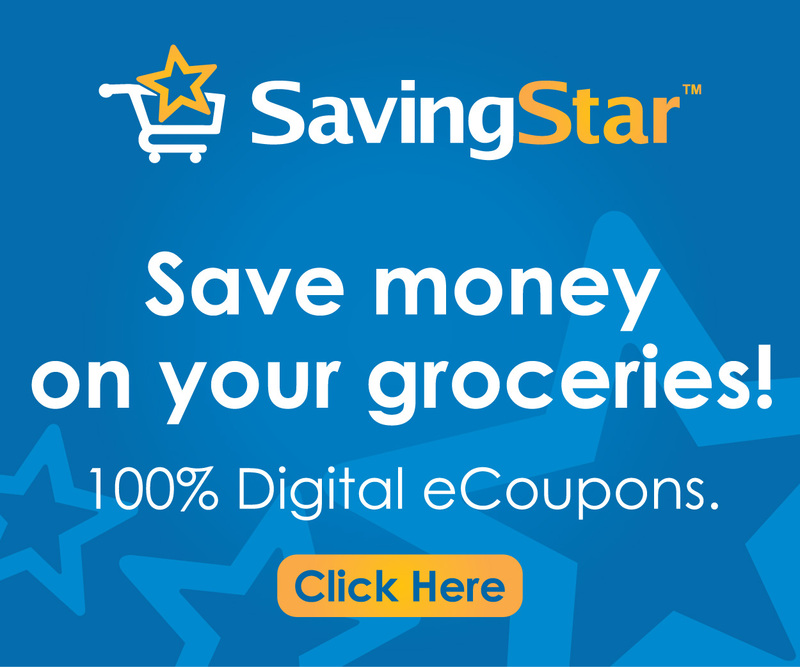 For electronic, load-to-card coupons, SavingStar.com and Cellfire.com work with many major grocery and drugstore chains nationally. Load these ecoupons to your store's loyalty card and start saving - no scissors necessary! Did you know that there's a coupon magazine? All You is the magazine that's filled with coupons! Each issue typically has, on average, $50 to $100 worth of manufacturer coupons inside for under $2 per month! It even has a coupon index inside the cover showing you an alphabetical list of the coupons inside, their dollar values, and which pages they're on. If you love coupons, you may also love All You! Grocery List Matchup sites give you lists each week that match current coupons to your area stores' sales. Savings Angel is a popular, easy-to-use matchup list that will save you a great deal of time. Click the items you want this week, and Savings Angel shows you exactly which coupons to use! Super-Couponing© - Changing the way you shop... forever! For reader submissions to Jill's nationally-syndicated column, "Super-Couponing Tips:"
Super-Couponing® is a registered trademark of Super-Couponing, LLC and Jill Cataldo and may not be used without the prior written consent of the respective owners. Any unauthorized use is expressly prohibited by law and violators will be prosecuted to the maximum extent possible according to applicable law without notice.